Both gas powered and electronic golf carts have their own benefits, so it is important to choose the type of golf cart that best suits your specific needs. First, let’s talk fuel. Both are fuel efficient. Electronic golf carts run off of a rechargeable battery and now from EZGO there is even an ELiTE battery that comes with a 5 year warranty, leaving virtually no carbon footprint. And while gas powered golf carts may not be quite as fuel efficient as their electronic cousins, today they are more fuel efficient than ever. Another golf car attribute is that they are quiet. Electronic golf carts are nearly silent.Electric carts depend on their batteries to operate, so you will get more drive time with a gas cart. Also keep in mind that the more accessories you run, such as fans, lights and stereos, the more use your battery gets. Some reasons to go gas if you don’t have a place to charge an electric cart, if you are looking to have longer range such as using your cart for street legal uses. When you go gas there is oil changes, filter and spark plug replacements and of course buying gas. Some customers have commented on the faint smell of fuel when riding on the rear of a 4 passenger. Some reason for going electric if you have a place to charge your cart, if you are using your cart for golf, if you are using for small yard work or going just around the community you live in. Replacing batteries every 3 to 5 years if properly maintained. Both can ride and handle the same, and look the same to the untrained eye. 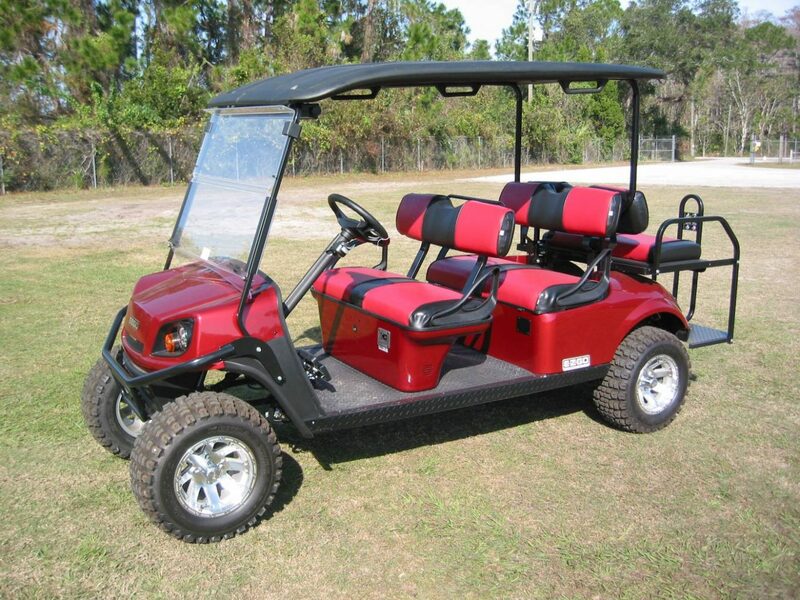 Gulf Atlantic in New Smyrna beach carries the top lines of both gas and electric golf carts and offers hundreds of options and accessories to create the perfect custom vehicle for your needs. If you have any questions, please feel free to stop by our convenient location on Pioneer Trail or call us at 386-427-9778.